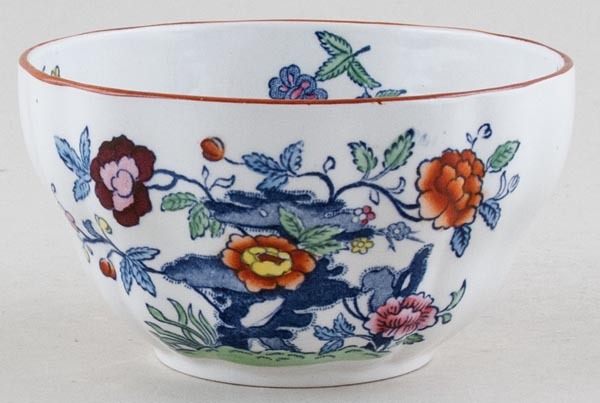 Pretty little bowl with gently moulded body and flower detail to the inside rim. Backstamp: Booths Made in England Pompadour A8026. Excellent condition.